In Indonesia, there are many places located at high altitude and have beautiful scenery that shouldn’t be missed. 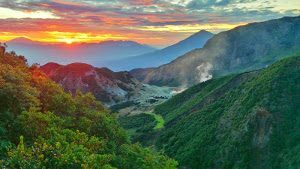 These are places worth trekking in Indonesia, both mountain and non-mountain. It can be guaranteed they’re not to disappoint you in terms of experiences. Below will be discussed some of the best places to trek. All nature lovers must know Gede Pangrango National Park in West Java. Mount Gede is truly a mountain that’s climbed by many nature lovers. Plenty of travelers who were amazed by the surrounding beauty. In addition to fun for trekking, there is Surya Kencana Square which has a flower field of Edelweiss. You can take time to take pictures in the Edelweiss field but are advised to not pick the flowers, as it would damage them. The view of Mount Pangrango is also magnificent when watching from its peak. 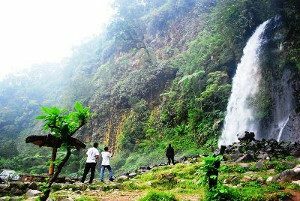 Not only that, Mount Gede Pangrango also has a waterfall located at the foot of the mountain, named the Curug Ciebeureum. Curug Cibeureum is like an oasis that invigorates the journey of nature lover traveler. Mount Papandayan in Garut is also one of the mountains that are suitable for beginners. Existing trekking tracks seem ordinary and not too steep. They also have Edelweiss field there. The magnificent place of Mount Papandayan is in Tegal Alun with its breathtaking edelweiss field, forest, and natural hot spring pool which is very refreshing when you swim into it. For the availability of the water source, then Papandayan has plenty of it, so you won’t run out of the water. Trekking in Papandayan also makes anyone more appreciative of nature over the beauty they provide to your eyes. For those who want to went trekking to the peak, Mount Papandayan has a height of 2665 meters above sea level. The exoticism of the Komodo dragon is not only found in Komodo Island, but also in Rinca Island. The gently sloping landscape of Rinca Island is one of the favorite places for trekking. 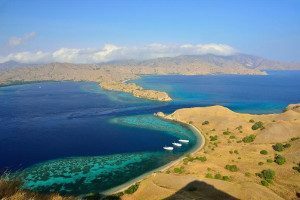 Moreover, not only you can do trekking, but there is a possibility you will also meet directly with the komodo dragons that are still in the wild. Fortunately they are not very active during the day, but still, the sensation of meeting the dangerous animal will sent adrenaline rush to your spine. The key of safety to went trekking here is to bring local guides that can keep you safe from the Komodo’s threat. Do not forget also to wear a hat and bring plenty of drinking water. Rinca Island’s hot weather will make you feel quickly dehydrated. 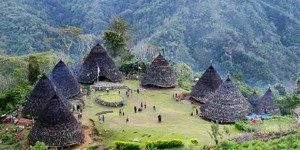 Besides having Kelimutu Lake, Flores Island is also famous for the traditional village of Wae Rebo in Manggarai. The pretty village is away from the crowd and is located at an altitude of 1,200 meters above sea level. Trekking to Wae Rebo must be an exciting experience. Meanwhile, to reach Wae Rebo, you have to go trekking as far as 9 km, with an estimated trekking time of four hours from Denge Village. Not only that, you are also required to use local guides at a rate of about 150 thousand rupiahs per group. The price is worth the experience. Arriving at Wae Rebo, visitors are required to produce a sound with a percussion tool and a visit to the Gendang house. Indigenous rituals are necessary to be done by every visitor who comes there. If you want to stay overnight. Then you need to pay 250 thousand rupiahs per person. Many travelers who were amazed when seeing the blue flame in Ijen Crater. Ijen Crater in Banyuwangi does have a unique natural phenomenon called ‘blue fire.’ If you want to see it clearly in action, then you need to do a night trekking. 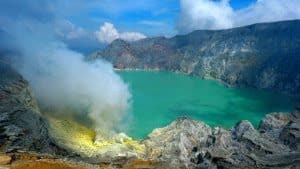 In addition, Ijen crater is located between the border of Bondowoso and Banyuwangi and has a height of 2387 meters above sea level. Trekking to the top can be an exciting adventure, especially at night. The sharp slope makes the Ijen Crater increasingly challenging. It takes at least two hours of trekking to reach its peak. Though tiring, the sight of the only blue fire will leave you breathless and make all the hard work to go there pays off. This is the highest mountain and the most worthy place to trek. Puncak Jaya is located at an altitude of 4,844 meters above sea level. This mountain is the only mountain in Indonesia whose peak is covered with eternal snow. Puncak Jaya is the ideal destination for many domestic and foreign trekkers. To trek Puncak Jaya you must dare to conquer the heavy terrain. Strong stamina is also a must for dealing with vicious nature. You can try to go to Nabire first that became a strategic place as the beginning phase to reach Puncak Jaya. From there you can hire a small plane to take you to the climbing base camp. Mount Sikunir has a height of 2350 meters above sea level. Here, you can enjoy the beautiful atmosphere of the rising sun plus the cold sensation of the wind of Dieng plateau. Not to worry about trying to get to the top. Thus, the peak of Mount Sikunir is only 8 km from Dieng. To reach the top of this mountain you can walk from Dieng around 03.30 in the morning. In addition to welcoming the sunrise, you can also see Mount Sindoro from the top of Sikunir. Tawangmangu tourist attraction is famous for its cool fountain. To reach this place you need to climb the stairs that are quite steep and high. But all will pay off with the freshness of the water from the natural spring. And the chill weather of Mount Mountain Lawu. Do not worry about starvation, many traders there are ready to sell their food to fill your stomach. You can even enjoy local delicacies of Tawangmangu called rabbit satay. The tombs of these Mataram kings have many staircases. It is said that the number can reach 409 steps. At the Imogiri Cemetery, you can witness the development of Java-Mataram culture with a thick mix of Javanese and Balinese culture. Pulau Rambut is actually not designed as a tourist destination. It is a nature reserve for wild birds. You can reach the location for 30 minutes drive from Jakarta by chartered fishing boat, then on Rambut Island, you can find various species of birds there. From this unused lighthouse, you can enjoy the beauty of the stones and the clear sea water view from a hill. You need to climb many steps to view the breathtaking scenery. This small island called Seraya Kecil is located around Labuan Bajo, Flores. To enjoy the beautiful scenery of heaven you need to climb a small hill behind the Resort Seraya Island Bungalow. Bukit Wayag is a karst hill that you need to climb to get the beautiful scenery. The challenging climb of the karst hill will only take 15-20 minutes, but the slick karst terrain can be difficult for you. Through the Pananjakan Hill, you can see the view of Mount Bromo. This hill is 2,770 meters above sea level, heading towards Pananjakan, you must pass through the desert that test the ability of your foot endurance. To climb the Pananjakan Hill then you’d need to spend about 2.5 hours from Cemorolawang climbing base camp. When the weather is friendly, then you can get a very beautiful sunrise view. here are some rules in regard when you do trekking in mountain or some other places. Please try to abide by this rules to keep everything in line and in order. Before traveling to the mountain, try to observe the weather for the possibility of a rainstorm or landslide. It is better to ask the local residents or postal guard where is the right location to enter the mountain that’s to be climbed. Plan every trip to the mountain carefully, do not forget the map, directions or information from the locals. Plan the length of the trip, make a notice about the route to be taken and the destination, regarding the emergency situation you can report to the forestry post or local village head. Make the trip early, and get back on time. 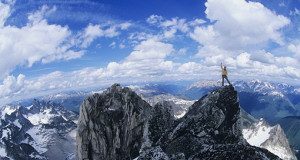 It means to be a happy and safe moment for mountain trekking and try to not walk alone. Get back in time based on predefined schedule. Adjust the duration of trekking time with the slowest followers. Try to follow the signs that have been posted there at the location. If you lose track, then it’s better to come back, until you rediscover the sign. Try to rest each every 2 hours. eat little but keep it consistence. Try to keep the mountain clean, bring your garbage in a plastic bag. Try to not pick flowers, leave the unprotected flora in place, for the sake of nature. Before making the trek, try to tell the people at home, also to friends. Trekking is one of the activities that is good for experiencing the new atmosphere and to better appreciate the surrounding nature. It can also improve your social life and enhances your survival skill. 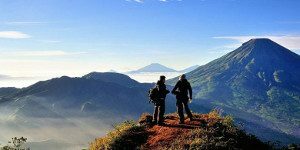 With so many options for trekking in Indonesia then you can just choose whichever suitable places that you’d like to explore.